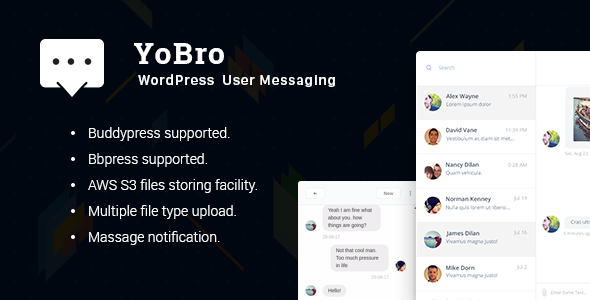 WordPress end-to-end user messaging system, built with React-Redux. It enables user private messaging, send notification for unread messages. User can upload image, media files within message. It has built in user privacy system. It supports bbPress & BuddyPress.